When we do the best we can, we never know what miracle is wrought in our life, or the life of another! Leadership Class Saturday, May 14th at 12:00pm, for all Black Belt Club Members, please RSVP for the class. Next Belt Test for those Little & Junior Dragons eligible Friday, June 10th 6:30 pm. Next Belt Test for Adults eligible Saturday, June 9th at 10:00 am. 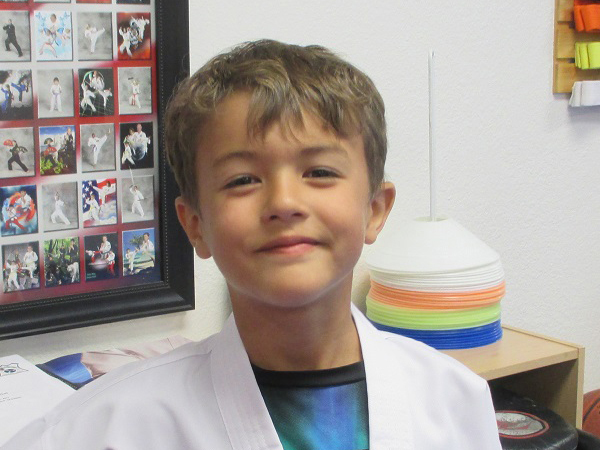 Marsden and his Brother (Ethan) joined our Black Belt School in November of 2016. From the beginning, it was apparent that Marsden was focused on becoming a Black belt, always giving 100% and then some. Marsden can be counted on to always have answers for questions during class. Besides enjoying all aspects of Martial Arts, Marsden excels in sparring! Sifu Rick and staff would also like to Salute Marsden’s parents, David and Theresa for all their support of not only Marsden, but of our Black Belt School as well. Job well done all! When it comes to fitness and improving one’s health, it can be daunting and almost feel impossible at times. Like climbing a mountain! I need to exercise, learn how to exercise, find a place to exercise, count my calories, eat better, shop for healthier food, cook healthier food, set goals, track my progress, resist eating unhealthy foods, resist falling back into old habits… The list can go on and on. How can we take this mountain of tasks down to a more manageable mole hill of items? When it gets overwhelming, take a step back and focus on one or two things instead of everything all at the same time. Here’s an example. Instead of going cold turkey on all of the unhealthy things you eat, cut out a couple items that you eat on a regular basis and replace them with healthier options. Once you do that for a bit, then work on a eliminating a couple more. Start off working out days a week. Do this consistently for a couple of weeks then add in another day. Ease into things, and that mountain you are trying to climb will seem more manageable. Small steps in the right direction are still steps in the right direction, remember that! Not everyone can make the huge, dramatic transition and handle it all at once. For most, when they attempt to do so, they eventually are overwhelmed and give up altogether or resort back to yo-yo diets and the search for mystical, magic pills for a quick fix. But as we all know, those magical pills don’t exist, and those fad diets work until we are not doing them any longer. Let those old habits die out along with your weakness for twinkies! When we focus on a couple of things from that large, seemingly never ending list, we are more likely to actually start and make progress. And that’s the whole point isn’t it? So make your list, set your realistic goals, plan them out and then pick the two or three things you are going to start with. As you get more comfortable with those two or three things, start to add in one or two more items from your list. Continue that trend, and soon you will find yourself closer to the summit and accomplishing things you never thought you could. Let’s recap. Create your mountain. Set your goals, plan them out and then take action. If you can handle the entire load, great! Keep going. If you cannot, you are not alone. Take on a couple of things at a time and keep moving forward to a healthier and happier you! Keeping the mood light with humor, music, or games.